What Do Frogs Eat and What Eats Frogs? Why are Frogs So Many Colors? Animals > Frogs > What Are Amphibians? Amphibians are Tetrapod, ectothermic vertebrates (animals that depend on environmental sources of heat, not able to self-regulate body heat) that belong to the group Amphibia. All recent amphibians belong to Lissamphibia. The habitat of these amphibians is widespread, the majority of them living in the ecosystems of freshwater aquatics, arboreal or terrestrial fossorial (living in burrows underground). The first stage in the growth of amphibians is as larva which in the water, but certain species have adapted new behavioral patterns to circumvent this stage. Usually the immature ones go through a process of metamorphosis from possessing gills in the larva stage, to a matured form with lungs to breathe in air. In addition, amphibians, as a secondary source of respiration, use the surface of their skin to respire. A few tiny terrestrial frogs and salamanders do not have lungs and their only means of respiration is through their skin. By the outward appearance, they resemble reptiles. However, birds and mammals along with reptiles, belong to the Amniotes. They do not need water bodies for breeding. Since the reproductive requirements of these amphibians are complex and their skin is permeable, they are generally dependent on the environment and of late (10-20 years) there has been a tremendous decrease in the population of several varieties of amphibians the world over. It was in the Devonian era that the foremost amphibians were evolved (this is about 370 millions of years before), from the Sarcopterygian fish which had lungs and their fin limbs were bony, and these special features helped them to adapt to dry land. Further, due to diversification they became dominant in the Permian and Carboniferous periods. Later on, they were displaced by the reptiles and several other vertebrates. In the long run, these amphibians lost their diversity and volume, resulting in only the present subordinate groups of Lissamphibia being left behind. The majority of people are acquainted with toads, frogs, salamanders and newts. Still, they have less acquaintance with Caecilians. By their outward appearance, they look like big earthworms. Since the Caecilians hide themselves most of the time under the ground and under the water, not much knowledge is available about them. Every amphibian is a cold-blooded animal, with the majority of them having a metamorphic change from the young to the adult stage. These amphibians are unable to generate heat from their body, so much so, that they depend on the environmental temperature for heat and cold in order to stay alive. 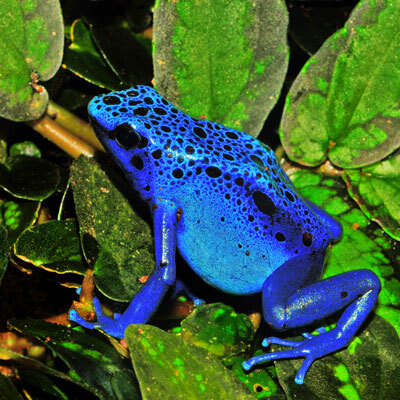 These amphibians sum up to 6,500 varieties, inhabiting all the continents with the exception of the Antarctica. They dwell in various environments such as streams, rivers, rainforests, deserts and alpine. Both the prey and predator play a vital role in maintaining the sensitive equilibrium of nature. They feed on insects that are harmful pests, by which cultivation benefits everyone all over the world They also help to minimize spreading of diseases inclusive of malaria. The amphibian’s skin has matters that prevent them from infestation by viruses and microbes, Diseases inclusive of AIDS that affect human beings are curable using their skin. For centuries it is believed that frogs hold an exceptional position in several cultures of humanity. They are also valued as mediators of life as well as good luck. A concerted effort to protect amphibians can help mankind to confront and deal with several key environmental related challenges with confidence. The amphibians, being cold blooded and ectothermic, their body temperature is not sustained by the process of inner physiology. On account of their low rate of metabolism, these amphibians require only a minimum energy and food. The fully developed ones possess eyelids that are movable and also tear ducts. Besides, most of these varieties have ears by which they are able to detect vibrations on the ground or through the air. Their tongues possess muscles which helps most of them to stick them out The amphibians of today possess vertebrae that are ossified with articulation. Generally they have short ribs which are at times joined to the vertebrae. Most of their skulls are short and broad and usually partially ossified (turned to bony tissue). There is very little keratin in the skin and they do not have scales, just a few scales like that of the fish in some Caecilians. Besides, there are several mucous glands in the skin and certain varieties posses poisonous glands. There are three compartments in their heart, one ventricle and two atria. The amphibians have urinary bladders, waste matter of nitrogenous type gets excreted first, in the form of urea. The majority of amphibians lay eggs in water and the larvae become aquatic which experiences metamorphic changes and turn into mature terrestrials. The breathing mechanism of the amphibians is through a pumping action by means of which first air is withdrawn in the buccopharyngeal section via the nostrils. Further, this is blocked, forcing the air into the lungs by contracting the throat. This is compensated by exchanging gas via their skin. It is possible that 1/3 -1/2 (around 7,000) of all the varieties of amphibians in the world get wiped out during our lifespan. From the time of the dinosaurs have vanished, this may perhaps become the biggest extinction. Amphibians are referred to as canaries in the coal mines: The amphibians are the first species that the environmental stresses, and their subsequent great decrease in numbers heralds a caution to other creatures including the humans. The extinction of amphibians is reaching a shocking figure. Ever since 1980, it has been reported that almost 122 varieties have been wiped out of the 6000 varieties of amphibians, and about ½ of them are expected to vanish during our lifetime, of which 500 species are on the verge of extinction already in the forthcoming years. At the time when dinosaurs became extinct, did we ever expect that the amphibians would disappear at this speed? The recent devastation of habitats, global warming, pollution, invasion of species and several other pressures from human beings have brought a warning to most of the species in the whole plant and animal kingdom. Deadly diseases that are called Chytrid fungus have led to the attack on amphibians that resulted in unparalleled and unforeseen losses in a silent and rapid manner, causing the destruction of the whole of a new generation existing in nature The Chytrid fungus has wrought destruction on the amphibians in every continent inhabited by them. This disease has wiped out or destroyed even the species that were neither listed as endangered nor critical. It occurs so rapidly that this species started vanishing before the exact problem was even identified. This amphibian Chytrid disease affects the amphibian’s skin, which is their most important organ through which it breathes as well as drinks. Only a decade before, it had come to light that dozens of varieties of frogs became endangered on accord of this. In surroundings where amphibians prosper, this fungus has the capability of destroying 80% of the local inhabitants within a month. In nature, today we are not in a position to either treat or bring this to a stop, even in areas that are protected. It is believed that this amphibian Chytrid originated from Africa. As far as amphibians are considered, they need water bodies to reproduce. Even certain varieties have set up long term plans to bypass or protect susceptible stage of the larva in the water. We do not find them in the oceans except for a few frogs numbering one or two that survive in salty waters in the swarms of mangroves. On the amphibians do not find sufficient opportunities to dampen their skin. The world’s tiniest amphibian (and vertebrate), the Microhylid Frog, whose scientific name is Paedophryne Amanuensis, was discovered in the year 2012 in New Guinea. 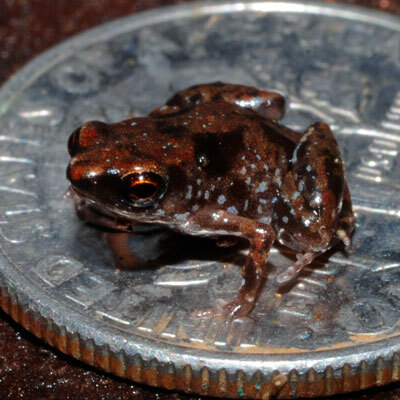 The standard length of this frog is 7.7 mm (0.33 in). It is associated with the genus included in the four smallest of the ten species of small frogs in the world. 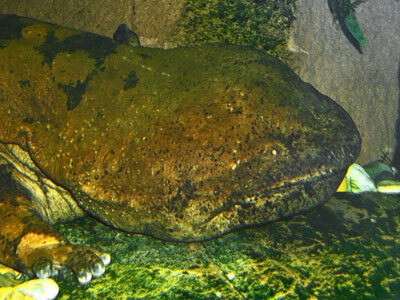 The Chinese Giant Salamander whose scientific name is Andrias Davidianus is the biggest amphibian alive on earth, which measures 1.8m (5ft. 11in). However, this size is incomparable to the amphibian species that was wiped out, that were 9 m (30ft), its scientific name being Prionosuchus, a temnospondyl resembling the crocodile dating back to 270 million years earlier in Brazil’s central Permian. The African Goliath frog scientifically called Conraua Goliath is the biggest frog in Africa with a length of 32 cm (13 in) and a weight of 3 kg. 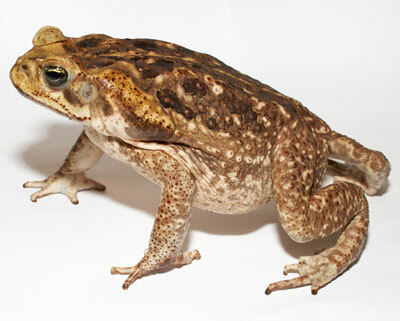 (6.6 pound) The biggest ever known cane toad with scientific name Rhinella marina, previously galled Bufo Marinus was as long as 38 cm (15 in) measuring from the vent to the snout. Most of the amphibians are predators, consuming every moving object, which they are able to gulp. Usually they feed on tiny prey sluggish creatures like the caterpillars, spiders, beetles and earthworms. The category Anura (according to the ancient Greek “a” means “without” and “Oura” means “tail”), encompasses the toads and frogs. Their hind limbs are normally long and fold up beneath them. Their forelimbs are short and their toes are webbed, without claws. They have big eyes and are tailless, their skin is glandular and moist. Those amphibians belonging to this category, with smooth skin are considered as frogs, whereas the ones whose skin is warty are called toads. 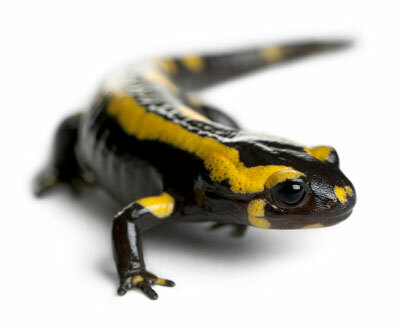 Salamanders belong to the order Caudata (which means “tail” in Latin). These animals are long and low-slung, most of them having the shape of lizards. This is a symplesiomorphc variety (Where two or more taxa share the same ancestral trait). They are in no way connected to either lizards or mammals. The characteristic features of Salamanders are: skins free of scales, toes without claws, skin is covered with tubercles or they may be smooth, their tails are mostly finned or flattened on either side. Their size extends from that of the Chinese giant salamander, scientifically named Adrias Davidianus, which as per reports, grow as long as 1.8m (5 ft, 11 in), to that of the diminutive Thorius Pennatulus, hailing from Mexico, that rarely grows to a length, beyond 20mm (0.8 in). The Caecilians are of the category Gymnophiona (In Greek, gymno means “naked” and ophis means “serpent”) or belong to the Apoda where ‘an’ , in Latin means “without” and “poda” means “legs” in Greek . These limbless, lengthy, cylindrical animals appear as snakes or as earthworms. The length of the matured ones ranges from 8 to 75 cm (3 to 30 in). The Thomson’s Caecilian ,scientifically called Caecilian Thompsoni is an exception, it grows to a length of 150cm (4.9ft). The skin of the Caecilian is composed of a great number of crossways folds, and in certain types, they have very small skin scales embedded in them. Its rudimentary eyes are enclosed in the skin, and you can see them only by sharp observation in varying intensities of light. Besides, it has two tentacles that are short and near to the eyes that are stretchable and possess tactile and also olfactory functions. Most of Caecilians dwell in burrows, underground in damp soil, beneath the debris of plants, and in decayed wood, but some live in water. Many varieties lay their eggs under the surface of the ground and when the larvae hatch, they proceed to the nearest water body. Many other Caecilians lay their eggs, but their larva experience metamorphic changes prior to the eggs hatching. However, some of them deliver young ones, when they are in the oviduct, they are nourished by the glandular secretions. The Caecilians live in the tropical regions of Africa, South and Central America and Asia. The structure of the external protection includes certain special traits usually found in the earthly vertebrates, like the occurrence of extremely cornified (converting to horny layers or cells) external layers, converted in periods by means of a molting system (periodically shedding skin) which the pituitary and the thyroid glands regulate. Amphibians frequently consume the sloughed (shredded)skin. The skin of the amphibian is porous, absorbing water. Exchange of gases occurs through the skin called cutaneous respiration while this permits the matured amphibians to breath beneath the surface of the water and go to sleep at the base of the ponds. Locomotion And The Skeletal System. The skeletal system of the amphibians is homologous (referring to the same ancestor) in its structure, similar to the other Tetrapods, but with some differences. Other than the legless Caecilians, all the rest have four limbs, but some of the salamander species have short limbs or none at all. The bones of these amphibians are of light weight and hollow structure. The musculoskeletal system is strong enough to support the body and the head. Their bones are totally ossified and by a process of an overlapping system, the vertebrae get interlocked . The muscles support the pectoral girdle, and a couple of sacral ribs connect the backbone to the fully formed pelvic girdle. Unlike the mammals, these amphibians are closer to the ground because the ilium slopes in the frontward direction. The circulatory system of the young ones is similar to the fish that is they have a single loop system. The depletion of blood is denoted by blue and oxygenated blood by red. The amphibians possess an adult stage as well as a juvenile stage, the circulatory system of both the stages is diverse. The circulatory system of the juvenile (tadpole) stage is same as that of a fish; the heart has two chambers and it pumps the blood, oxygenated through the gills all through the body and returns to the heart passing through a single loop. When they are in the adult stage, the amphibians (particularly frogs) drop their gills, and start growing lungs. The heart comprises of two atria and one ventricle. On contraction of the ventricle the deoxygenated blood gets pumped into the lungs through the pulmonary artery. By further contraction of the ventricles the oxygenated blood is pumped to the remaining parts of the body. The anatomy of the two chambers prevents the mixing of the two blood streams. Basically the nervous system of the amphibians is similar to that of the vertebrates; they have a spinal cord a central brain system and a nervous system all through the body. The majority of amphibians gets hold of their prey by sticking out their stretched tongue with the help of its sticky tip. It then withdraws the prey backwards into its mouth prior to getting hold of them with its jaws. In certain types of amphibians the feeding takes place internally, aiding them to gulp in the prey and repeatedly bobbing their heads in the forward direction, harshly causing the prey to move into the rear by the inertia in their mouth. Most amphibians have large stomachs, and hence they gulp the prey whole and do not chew them much. The esophagus is short with linings of cilia, which helps the movement of the food to the stomach and the mucus that is generated by the glands in the pharynx and mouth helps the food to flow with ease. The arthropod prey’s chitinous cuticle gets digested easily by the Chitinase enzyme which the stomach produces. Besides the amphibians have a liver, which comprises of two large lobes, a pancreas, and gall bladder. When compared to the Amniotes the lungs of the amphibians are primitive, they have some internal septa, big alveoli and simultaneously the diffusion rate of the oxygen that enters the blood becomes apparently slow. Ventilation is followed by buccal ( mouth cavity) pumping. But most of amphibians can exchange the gases with air or water through their skin. In order to provide proper cutaneous respiration, the surface of the skin that is vascularized (with blood vessels) to a great extent, should retain moisture. Fresh water is an essential factor for the reproduction of amphibians, even though some of them lay eggs on land and find different methods of retaining moisture. Some (for example Fejervarya Raja) dwell in brackish waters, but you cannot find original marine amphibians. Some reports exist of a specific population of amphibians unpredictably invading the sea waters. The fertilization of the Caecilians is internal, the male protrudes an intromittent organ, which is the phallodeum, and further inserts it into the cloacae of the female. Most salamanders indulge in internal fertilization. In several instances, the male lays down a spermatophore (a tiny pack of sperms above a gelatinous cone), on top of the substrate, either in water or on land. The female makes use of the lips of its cloaca, grasps the pack of sperm and thrusts it in the vent. Frogs in general, fertilize externally. The male uses its forelimbs and grips the female firmly either from the front of the hind legs or back of the arms. In the case of the Epipedobates tricolor, they hold around the neck. They stay in amplexus, keeping the cloacae close to each other. When the female lays eggs, the males cover them with sperm. 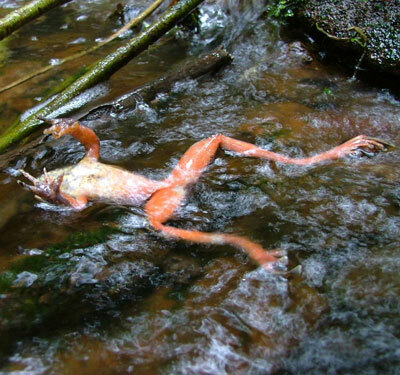 Most amphibians undergo a process of metamorphosis where a notable morphological change takes place after their birth. In a representative development of amphibian, the female lays eggs in water and larva get used to life in water. Salamanders, toads and frogs hatch from eggs in the form of larva possessing external gills. The amphibian egg is enveloped by a typical covering of gelatin that is transparent; it is secreted by the oviducts, that has mucopolysaccharides and mucoproteins. Gases and water penetrates through the pores of this particular capsule which bloats simultaneously. In the initial stage, the ovum is held firmly. However, in eggs that are fertilized, the deepest layer turns liquid, permitting the embryo to have a free movement. The amphibian’s characteristically lay their eggs in water and they hatch into free-living larvae and the stages of growth are completed in the water, later on changing into either terrestrial adults or aquatic ones. The cries of the Salamanders and Caecilians are restricted to irregular hissing, squeaking and grunting, but not much more is known about this feature. 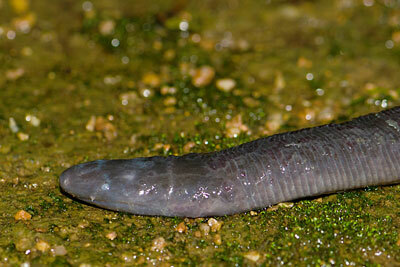 The Caecilians make clicking sounds which are likely to orientate or to communicate, just as the bats,. Most salamanders do not make any sound, however, the California giant salamander, scientific name, Dicamptodon Ensatus, posses vocal cords and generates a barking or rattling sound. Certain varieties of salamander release a mild yelp or squeak when they are attacked. The sound produced by the frogs is still greater, particularly during the periods of breeding, at which time they attract mates by their voices. In spite of the fact that the amphibians are void of claws and so unable to protect themselves, they have evolved many protective devices for survival. The foremost protective device of the salamanders and the frogs is the secretion of mucus that they generate. This secretion retains the moisture on their skin, which make it slippery and impossible for anyone to grip them. This secretion is unpleasant to taste and sticky or poisonous. When snakes attempt to swallow African clawed frogs (Xenopus Laevis), they are seen to gape and yawn, this signals the frogs a chance to flee. Hardly any studies have been conducted on Caecilians in this regard, however the Cayenne Cecilian scientifically called Typhylonectes Ccompressicauda, generates poisonous mucus, which is understood to have killed predatory fish during research conducted in feeding in Brazil. Certain salamanders have venomous skin. Our articles are free for you to copy and distribute. Make sure to give www.learnaboutnature.com credit for the article.